Peppermint Technology Limited and NAHL Group plc are delighted to announce that they have signed a contract for Peppermint to provide its CX Cloud Solution to NAHL. Peppermint CX provides legal organisations with a highly flexible and legally focussed practice, case and document management solution coupled with extensive CRM and business development capabilities – all built on the Microsoft Dynamics platform. 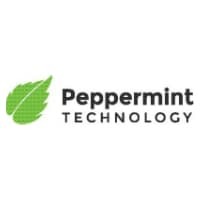 Peppermint’s modern, future-proof technology provides businesses with a platform to support their strategic plans for growth and transformation.